Header Generator with your pages. Israeli born mezzo-soprano Hadar Halevy sprang to international attention at the 2002 Wexford Festival as Bianca in Mercadante’s IL GIURAMENTO. Following her great success, Hadar Halevy has made impressive debuts at the Deutche Oper Berlin as Laura in LA GIOCONDA, at New York as CARMEN and then her Italian debut at the Teatro Carlo Felice in Genova as Malcolm in Rossini’s LA DONNA DEL LAGO under maestro Alberto Zedda. Following her debut in Palermo as CARMEN, Halevy debuted at the Pesaro Festival as Edoardo in MATILDE DI SHABRAN opposite Juan Diego Florez. She sang her first Arsace in Rossini’s SEMIRAMIDE at the Deutche Oper Berlin. She also returned to Genova as Adalgisa in NORMA and then made her debut at the Semper Oper in Dresden as CARMEN, at 2005 with the Hamburg State Opera the title role in Handel’s GIULIO CESARE and Isabella in L’ITALIANA IN ALGERI in Dresden. 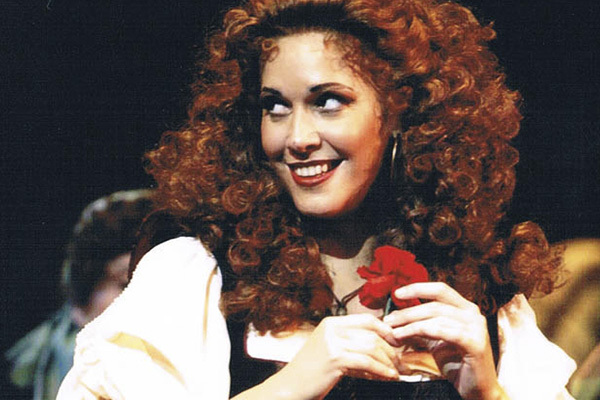 She returned to Hamburg as CARMEN and sang this role for her debut in Teatro Regio in Torino. In 2006 Halevy made her debut in Bari as CHARLOTTE in Werther opposite Marcello Alvarez. 2006 Halevy sang CARMEN with San Francisco Opera, in Munich and the Orange Festival on tour in Shanghai.